The Willamette River, the 13th largest river in the United States, drains a basin of 11,478 square miles, an area roughly the size of the state of Maryland. Historically treasured for its wealth of resources, including inexpensive power and irrigation, forestry, rich agricultural land, and outdoor recreation, the basin today faces serious problems. We are witnessing disappearing fish and wildlife, toxins and wastes in waters, undependable water supplies, and continued habitat destruction. Estimates indicate that the population will increase by 74 percent between the years 2000 and 2050, adding the population of three cities the size of Portland or thirteen cities the size of Eugene to the valley. To face these challenges to our unique environment, private and public sectors have come together to formulate goals and action plans to protect and restore the health of the Willamette Basin ecosystem. Such efforts, representing the input of hundreds of Oregonians, include the Willamette Restoration Strategy, the Governor's Willamette River Legacy Program and the Willamette Partnership. The greatest enemy to efforts such as these is indifference. The attitude that change will come from 'others' rather than from 'self.' Yet, everyone does make a difference, whether to the greater good or bad. Each individual must take action on and off their property, within their spheres of influence, through their daily routines. Youth have an especially powerful role to play in this fight against indifference. With their open, curious minds and enthusiasm for the natural world, young people can most effortlessly convince others, especially their parents and friends, to respect our basin's natural resources. Experience in other environmental initiatives such as recycling demonstrates that students readily share their increased awareness and concern for our watershed's health and beauty with others. What began over 10 years ago, as primarily a Willamette Basin focused initiative, has now grown to encompass the entire State of Oregon. 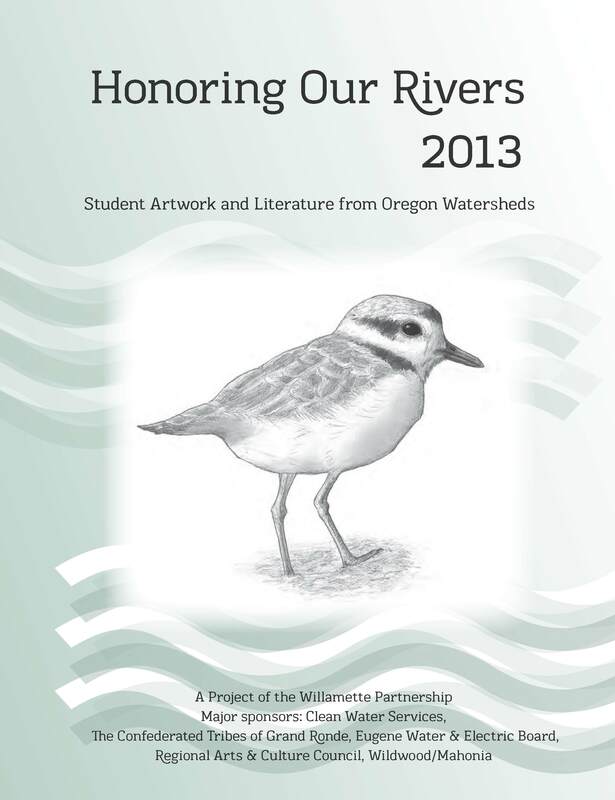 Students across the entire State have a voice in the Honoring Our Rivers anthology, to speak out for the health and preservation of all Oregon Watersheds. 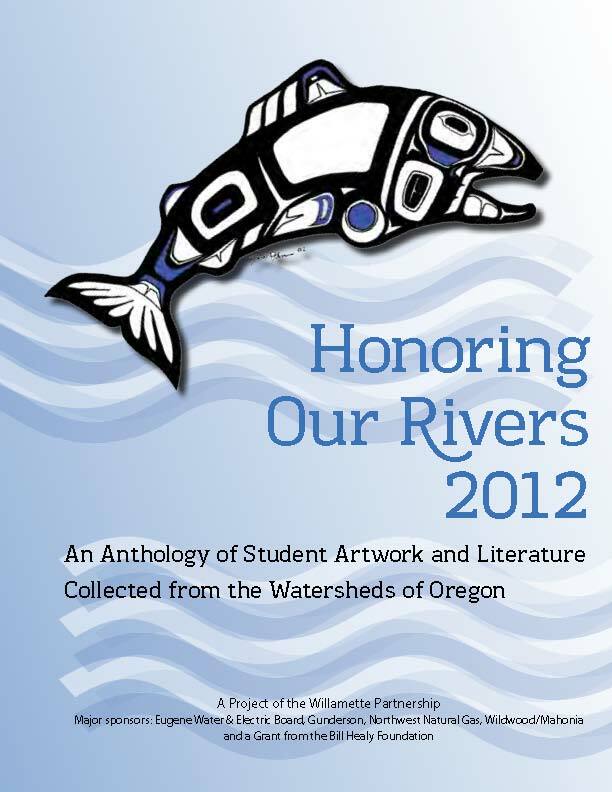 It is the mission of the Honoring Our Rivers anthology to engage the creative and reflective intellectual capacities of Oregon residents, particularly its youth, to promote and nurture respect for the Watersheds of Oregon. 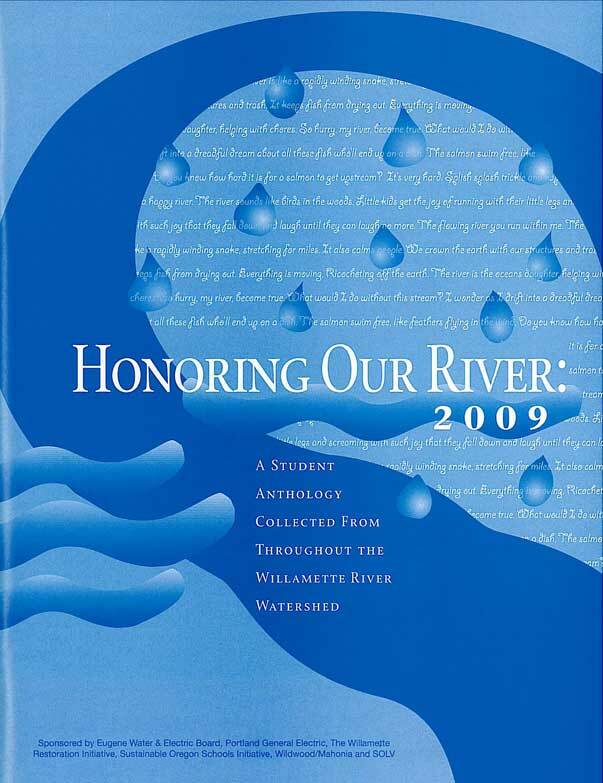 Sponsored over the years by the Healy Foundation, Clean Water Services, Portland's Office of Healthy Working Rivers, Portland General Electric, Eugene Water & Electric Board, Wildwood/Mahonia, the Willamette Partnership and SOLV, this annually published compilation of literature and artwork features multiple expressions of the relationship between people and their Watersheds--the waters, weather, land, plants, animals and habitats that make up our beautiful and fragile river systems. Literary entries include poems and essays, both fiction and non-fiction. Art entries include black and white photography, sketches, line drawings and paintings. 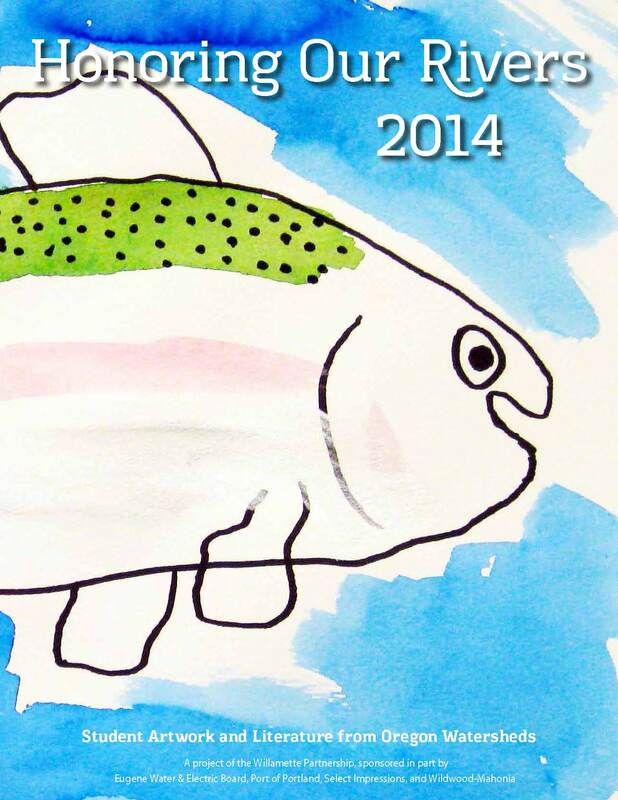 Honoring Our Rivers seeks to first educate students about the challenges that Oregon's Watersheds face. We provide all teachers with the opportunity to order a free watershed toolkit containing a wealth of information to supplement in-class or outdoor education about the river. After learning how human actions affect the health of our watersheds, students have the opportunity to reflect upon ways that the river has affected their own lives and how others affect the life of the river through words and art. If they decide to submit their work to the judging panel of professionals at Honoring Our Rivers, a panel of judges may select it to be published in the anthology, the tool by which the wider community may discover and reflect upon the multiple interactions and dimensions of the human relationship to our precious Oregon watersheds.